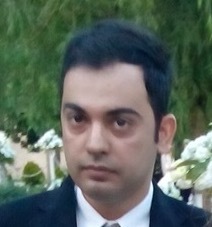 Farzam Vaziri is currently Assistant Professor of Medical Bacteriology at Pasteur Institute of Iran. He earned his Master and PhD in Medical Bacteriology at Tarbiat Modares University, Iran. In his PhD thesis work he worked on the signaling pathways in Gastric cancer related to Helicobacter pylori CagA oncoproteins. During his PhD, Farzam accepted a position as researcher at Gastroenterology and Liver Disease Research Center, Shahid Beheshti University, Iran, where he worked for 2 years. During that time, he carried out several projects related to Gastroenterology. 4) Abbas Farhadian, Qorban Behzadian Nejad, Shahin Najar peerayeh, Mohammad Rahbar, Farzam Vaziri: Determination of Vancomycin and Methicillin Resistance in Clinical Isolates of Staphylococcus aureus in Iranian Hospitals. British Microbiology Research Journal. 04/2014; 4(4):454-461. 6) Farzam Vaziri, Shahin Najar Peerayeh, Masoud Alebouyeh, Tabassom Mirzaei, Yoshio Yamaoka, Mahsa Molaei, Nader Maghsoudi, Mohammad Reza Zali: Diversity of Helicobacter pylori genotypes in Iranian patients with different gastroduodenal disorders. World Journal of Gastroenterology 09/2013; 19(33). 9) Somayeh Jahani Sherafat, Elahe Tajeddin, Mohammad Reza Seyyed Majidi, Farzam Vaziri, Masoud Alebouyeh, Amir Hooshang Mohammad Alizadeh, Ehsan Nazemalhosseini Mojarad, Mohammad Reza Zali: Lack of association between Helicobacter pylori infection and biliary tract diseases.. Polish journal of microbiology / Polskie Towarzystwo Mikrobiologów = The Polish Society of Microbiologists 01/2012; 61(4):319-22. 10) Farzam Vaziri, Shahin Najar Peerayeh, Qorban Behzadian Nejad, Abbas Farhadian: The prevalence of aminoglycoside-modifying enzyme genes (aac (6′)-I, aac (6′)-II, ant (2“)-I, aph (3′)-VI) in Pseudomonas aeruginosa.. Clinics (São Paulo, Brazil) 01/2011; 66(9):1519-22.